Malin Craig was born in St. Joseph’s, Missouri, on 5 August 1875. He graduated from the United State Military Academy in 1898, was commissioned a second lieutenant, and assigned to the 4th Infantry. He then served with the 6th Cavalry in Santiago, Cuba during the Spanish-American War. He participated in the China Relief Expedition from 1900 to 1902, and promoted to first lieutenant in 1901. That year, he married Genevieve Woodruff. He soon attended the Infantry and Cavalry School and then Staff College, both at Fort Leavenworth. In 1904, he was promoted to captain and assigned to the 10th Cavalry. From 1906 to 1909, he was a quartermaster at Fort Clark. He attended the Army War College from 1909 to 1910, and then taught there the next two years. In 1917, Craig was made a major in the cavalry, and soon promoted to lieutenant colonel in the field artillery. He served as the chief of staff of the 41st Division, before going to Europe with the American Expeditionary Forces. 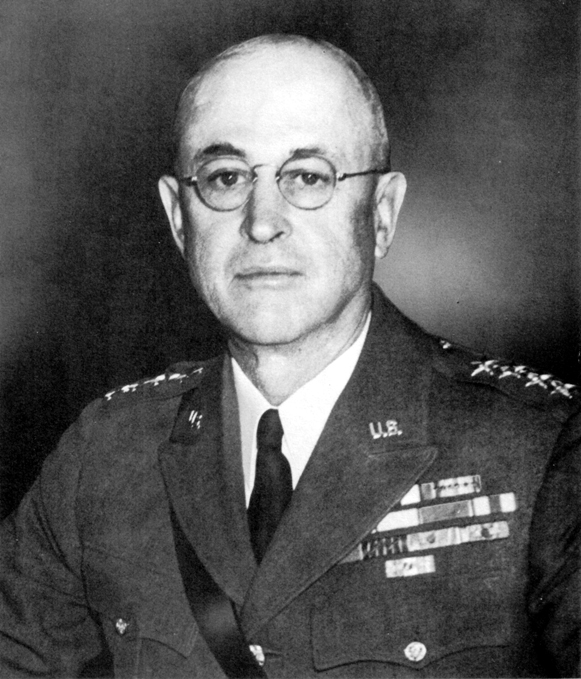 He also served as chief of staff of I Corps. Craig participated in the Toul, Marne, St. Mihiel, and Meuse-Argonne campaigns. In 1918, he was promoted to colonel, and then to brigadier general in the National Army. From 1918 to 1919, he was the chief of staff of the Army of Occupation. Afterwards, he reverted to his permanent rank of major and was a director of the Army War College until 1920. Craig then commanded the District of Arizona and was promoted to colonel. In 1921, he became a brigadier general in the Regular Army and was the commandant of the Cavalry School at Fort Riley until 1923. In 1924, Craig became a major general and the chief of cavalry. In 1926, he served as assistant Chief of Staff for the Army. He then successively commanded the Fourth Corps Area, the Panama Canal Division, the Panama Canal Department, the Ninth Corps Area, and served as commandant of the Army War College. In 1935, he was made a general, and from 2 October 1935 to 31 August 1939, he was the Army Chief of Staff. As Chief of Staff, Craig pointed out the Army’s lack of manpower and materiel, focused on Army planning, and prepared for World War II as best as he could given governmental restraint. He retired from active duty in 1939, but was recalled to lead the Secretary of War’s Personnel Board in 1941. He died in Washington, D.C., on 25 July 1945.